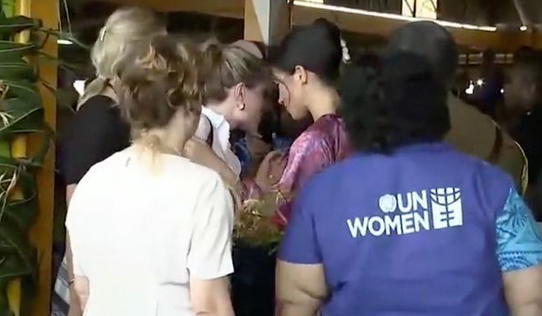 Meghan Markle was spotted whispering to one of her aides moments before she was rushed away from a market due to "security" and "crowd management" issues. 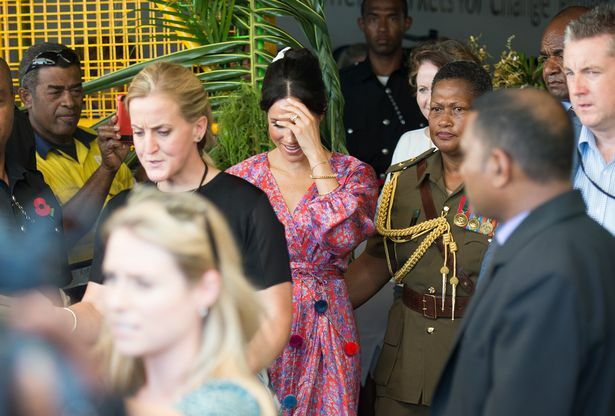 The Duchess of Sussex "looked concerned" before she entered the packed Suva Market on day nine of her Royal Tour, where huge crowds had gathered to see her. She was due to spend about 15 minutes meeting female stall holders involved with the UN Women's project Markets for Change, but the visit was cut short and she was whisked away by her private protection officers after just eight. Royal sources said this was due to a "security issue" due to the "much bigger crowds than anticipated" inside the market, making the event "uncomfortably busy" with "crowd management issues". 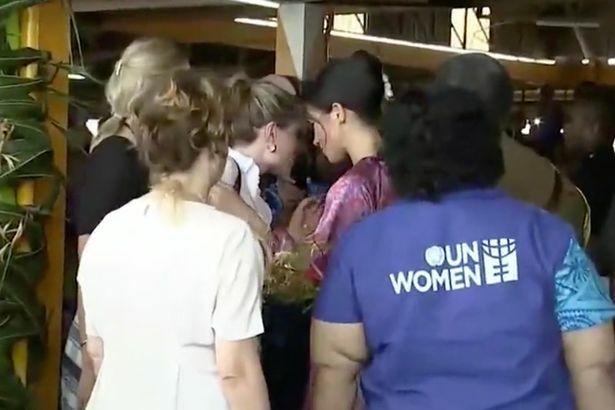 Minutes before she was rushed away from the area, just before she walked into the market, Meghan can be seen whispering to one of her aides. One onlooker said Meghan appeared to "look concerned" before entering the market. They said: "Before entering the market where there were scores of people all cheering and waving inside with their phones held up to record, Meghan leant over and whispered into the ear of one of her aides. "She stopped to speak to a pineapple seller on one of the stalls and had a very blank and disengaged look on her face, which is very unlike her. "It was very hot and humid in there so perhaps it wasn't the best environment for a pregnant woman. After speaking for about a minute she broke off and spoke to the same aide again before she was whisked out of the market very soon after. "There were a lot of people who were disappointed she didn't stay for longer but many were happy to just catch a glimpse of the Duchess and hope she was feeling okay." 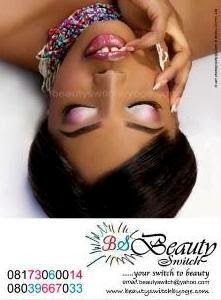 Why was her hubby not there? She probably felt unsafe without him.